The latest recognition is the fourth time in five years the museum has been named to an esteemed ranking of national academic museums. It came in at No. 17 on the EDsmart list, one spot ahead of Princeton University’s facility. Harvard University’s Museum of Natural History ranked No. 1 on the list. The museum was the highest ranked Southeastern Conference institution on the list and only one of three SEC schools mentioned. Auburn University’s Jule Collins Smith Museum of Fine Arts was listed as No. 22, and the University of Florida’s Museum of Natural History came in at No. 26. Robert Saarnio, director of the University Museum and Historic Houses, is proud of the recognition, which he said is entirely a credit to the “brilliant professional staff and the ecosystem of support and goodwill” that surrounds the museum on campus and in the community. EDsmart said it recognized university museums that provide a gateway to the past and to culture, and choose to house important objects from science, art and more. Each and every object weaves a thread into a tapestry of humankind’s history, EDsmart said. These museums also add research opportunities to the universities they inhabit. 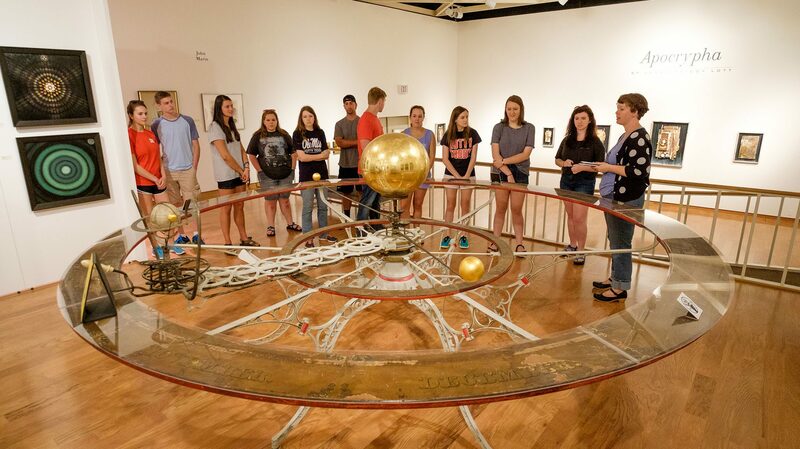 “The University of Mississippi Museum is located in Oxford and offers a wide variety of collections, which include 19th-century scientific instruments, such as telescopes and models,” EDsmart said. “You can also find a collection of American Art, which includes items from Mark Tobey, John Marin, Arthur G. Dove and many others. Earlier this year, the UM Museum was named to College Rank’s 50 Most Amazing College Museums in the country, which was then the third time the museum appeared on national rankings lists in five years – a first in the museum’s 78-year history. 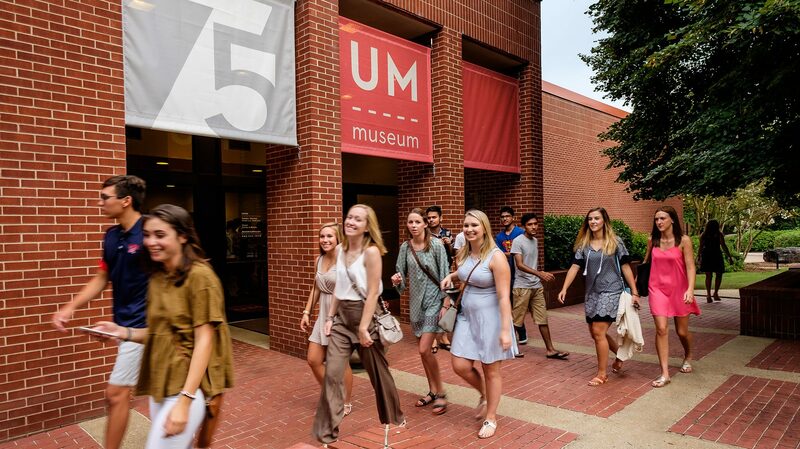 The museum provides the campus and Oxford community with unique collections, annually rotating temporary exhibitions and acclaimed educational programs for lifelong learners of all ages. Its programming for children, schools and families reaches 14,000 young north Mississippians each year. The Seymour Lawrence Collection of American Art includes an exceptionally significant Georgia O’Keeffe painting, as well as work from other 20th century artists including Arthur Dove and Marsden Hartley. The museum’s collection of Greek and Roman antiquities contains more than 2,000 sculptures, terra cotta and bronze artworks, decorated pottery and coins, and a variety of artifacts that date from 1500 B.C. to 300 A.D. The majority of this internationally renowned collection was donated to the university by archaeologist and professor David M. Robinson in 1958. The Millington-Barnard Collection of Scientific Instruments originated with the university in the 19th century. About 500 instruments that were used to teach Ole Miss students from 1848 to 1861 are housed in the museum. The museum also has a collection of Southern folk art from the late 19th to 20th centuries by artists using a range of nontraditional materials. The permanent collection contains work by Theora Hamblett, Sulton Rogers, James “Son” Thomas and Pecolia Warner, among many others. Also part of the museum are historic houses, including Rowan Oak, home of Nobel- and Pulitzer Prize-winning author William Faulkner. This iconic site has attracted visitors from all 50 states and 58 different countries in a recent 12-month period. Besides its collections, the museum also offers many educational opportunities for members of the community through lectures, adult studio workshops, family activity days, children’s art classes and summer programs. For more information about the museum, its programs and scheduling a visit, go to http://museum.olemiss.edu.